Begin with an interesting and informative presentation, before your personal trainer takes you for an unforgettable swim with beautiful bottlenose dolphins in the deep waters of a gorgeous, natural lagoon. Stroke their smooth skin, get kissed and even get a foot push or a dorsal pull around the cove, while witnessing it's immense intelligence and skill. 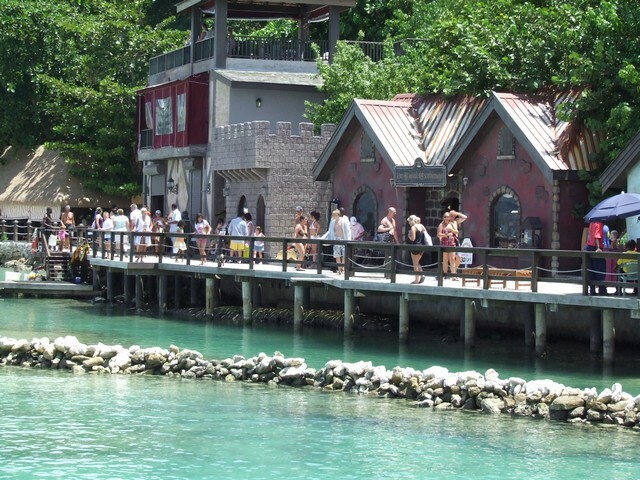 After your dolphin swim experience, explore the Dolphin Cove grounds where you can hold, pet and interact with stingrays, watch the shark show or shop for souvenirs. 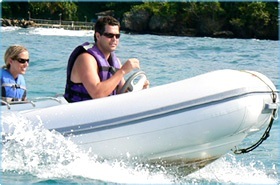 For your Dolphin Cove Experience, we remind you to bring water shoes, camera, suntan lotion and money for shopping. 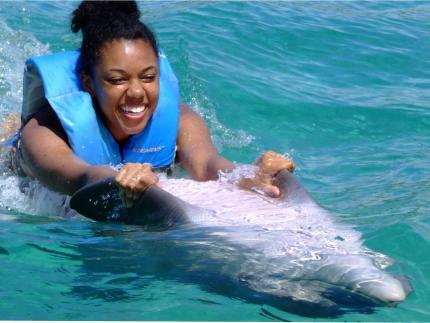 "Dolphin Encounter" - Make friends, “Touch” and have an up close experience with the dolphins on a shallow water platform. Get a Hug, Kiss, hand target and hand shake. 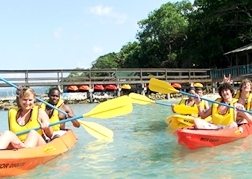 • Children age 1 – 5 years are free with a paying adult; one child per paying adult. • Paying child 8 years and over can participate alone. 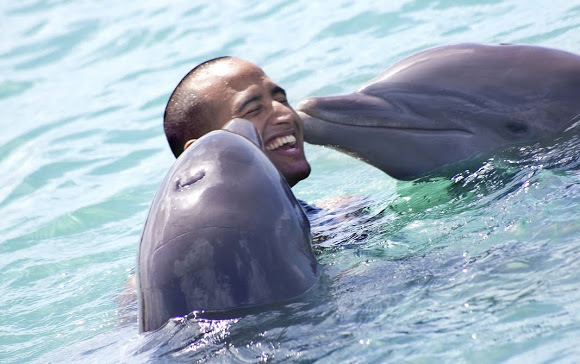 "Dolphin Swim" - Swim with ONE dolphin, dance, play, be kissed and playfully caressed. 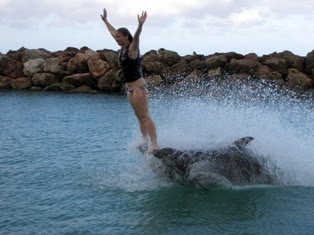 Zip through the water on a Boogie Board and enjoy a belly ride while swimming in deep water. 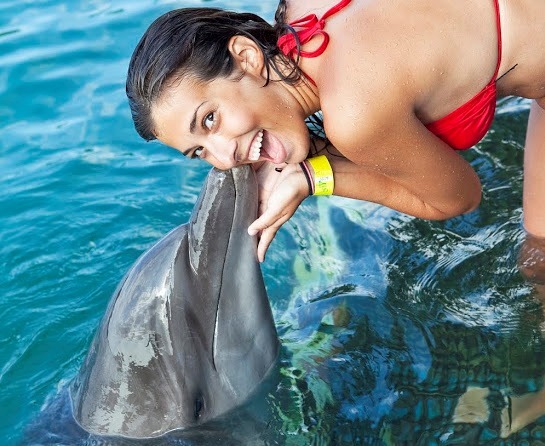 "Dolphin Royal Swim" - Swim with TWO dolphins, enjoy a kiss, foot push, dorsal push and play time. • Unavailable to Cruise ship passengers. • Children 5 and under are free! ALL was great...the driver...the experience and the website was great too. Absolutely AMAZING! We were able to kiss and pet the dolphins. Then we swim. Lots of fun! We highly recommend this tour!